1) "Don't be afraid to give up the good to go for the great." 2) "I would rather earn 1% off a 100 people's efforts than 100% of my own efforts." 3) "If you want to succeed you should strike out on new paths, rather than travel the worn paths of accepted success." 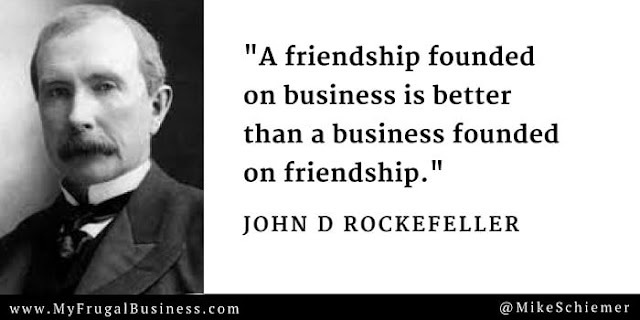 4) "A friendship founded on business is better than a business founded on friendship." 5) "I do not think that there is any other quality so essential to success of any kind as the quality of perseverance. It overcomes almost everything, even nature." 6) "Good management consists in showing average people how to do the work of superior people." 7) "I believe that every right implies a responsibility; every opportunity, an obligation; every possession, a duty." 8) "The ability to deal with people is as purchasable a commodity as sugar or coffee and I will pay more for that ability than for any other under the sun." 9) "I always tried to turn every disaster into an opportunity." 10) "If your only goal is to become rich, you will never achieve it." 11) "I believe in the dignity of labor, whether with head or hand; that the world owes no man a living but that it owes every man an opportunity to make a living." 12) "Charity is injurious unless it helps the recipient to become independent of it." 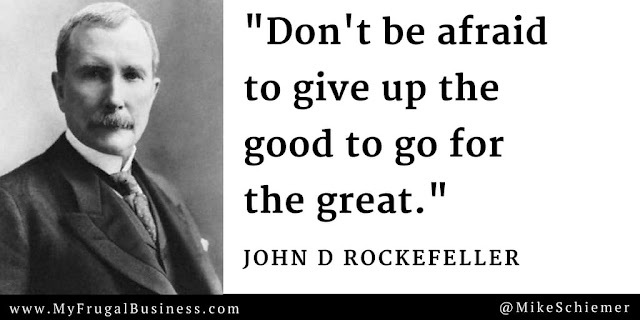 Thanks for the inspirational quotes John D. Rockefeller! I hope you enjoyed this inspirational business quote compilation from titan of industry John D Rockefeller. Interested in more motivational quotes for entrepreneurs?